11 boxes fill our tiny abode right now. Each filled to the brim with holiday decorations. I have a bad addiction to holiday décor, especially Christmas décor. oodles and oodles of snowmen. offering a discount on Christmas Trim for 3 days only!!! knowing I would come home with at least three. I was able to snag these lovelies for 30% off. It's sooo true about wives begging their husbands for any kind of decorations! Ha ha. That was me last year for Halloween. Jeff was a little more easy going about Christmas decorations, but I think that's because that one is HIS favorite holiday. 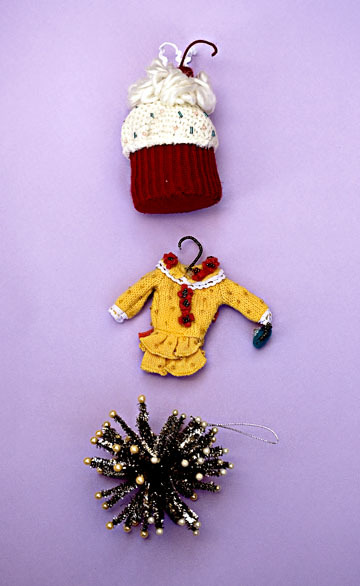 Adorable ornaments! "Seriosly!" Lol.